2. The content of this website is the copyright of A.O MOTORS (“A.O MOTORS”) and all trade mark, domain names, design rights, database rights and other intellectual property rights therein shall remain vested in A.O MOTORS (or the applicable third party licensors) and is protected from infringement by local and international legislation and treaties. A.O MOTORS may in its sole discretion (i) suspend or remove any website user’s access where such website user has utilised the website unlawfully and (ii) remove any advertisement (including any information and/or photographs therein) from the website which is unlawful. The private seller is responsible for any complaints or legal actions in respect of an advertisement (including any the information and/or photographs therein) and indemnifies and holds A.O MOTORS harmless from any and all costs, damages and other losses, arising from, or in connection with, the publication of any advertisement (including any the information and/or photographs therein) on the website. 5. 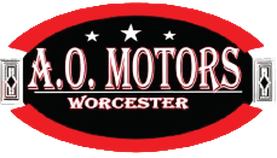 A.O MOTORS accepts no liability and responsibility for any inaccuracies, errors, omissions and/or misinterpretations occurring in any advertisement (including any information and photographs therein) on the website, and the website user absolves A.O MOTORS for any responsibility therein. 7. A.O MOTORS has made every effort to ensure information loaded is accurate and up to date on our website. Because of the unique nature of each stock item the seller is responsible for the information supplied and will need to confirm availability when contacted. 8. A.O MOTORS absolves itself from any and all costs, damages and other losses caused to any website user, as a consequence of any failure on behalf of A.O MOTORS to fulfil any of its obligations in terms hereof or as a consequence of any errors or omissions in any advertisement and further, A.O MOTORS is hereby indemnified against any such loss, damage and or inconvenience occasioned to the website user in this regard. 9. The use of this website is entirely at the website user’s own risk and the website user assumes full responsibility for any risk or loss resulting from the use of this website. A.O MOTORS accepts no liability or responsibility whatsoever for any loss or damage, whether direct, indirect or consequential in nature, suffered by any website user arising out of or in connection with the website user’s access to, or use of the Website. 10. A.O MOTORS does not warrant that the website shall operate uninterrupted, timely, secure, or error-free or that the server is free from viruses or other harmful components. 11. This website may contain images or links to third party websites, with information or material produced by other parties. A.O MOTORS does not control these linked sites and is not responsible for the content, any updates, links or changes to these linked sites. 12. If any third party wishes to establish a link to this website, by way of hyperlink, frame, or by similar reference, either electronically or otherwise, such third party must obtain the prior written consent of A.O MOTORS. Based on its sole discretion, A.O MOTORS may withhold or grant such consent subject to such conditions as may be specified by A.O MOTORS. 13. A.O MOTORS will use reasonable efforts to maintain the confidentiality of any personal information which may be shared by the website user with A.O MOTORS via the website, and undertakes not to share such information with any third party except to the extent necessary to respond to any request for information from the user or where involvement of third parties is required to address such enquiry or request or under circumstances where A.O MOTORS is legally compelled to do so or upon the website user’s written consent.